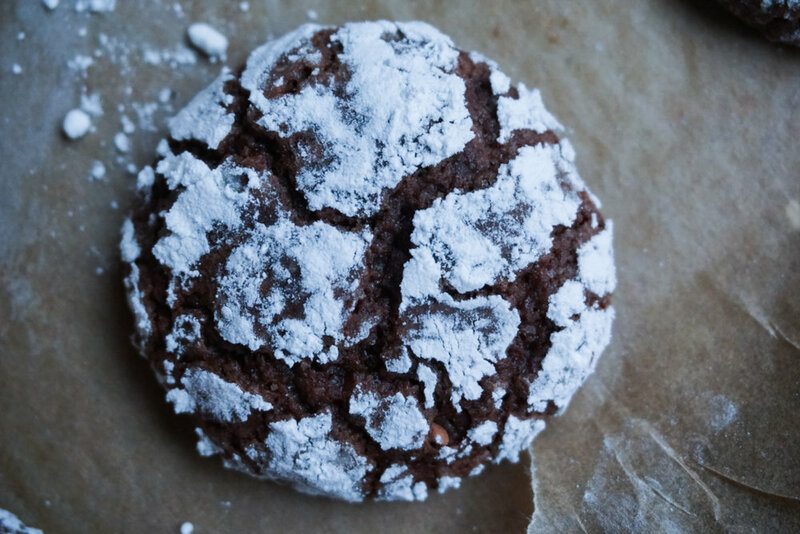 So excited to share these beautiful crinkle cookies with you. It was my first time making these simple yet beautiful cookies. At the cookie exchange they stood out and were picked up by many people in the group! The plate that this is featured on is from Annieglass which is a locally-based glassware company that makes beautiful yet durable pieces. I got to meet Annie at her home and she even inscribed this platter for me. Her passion for her work, which is has been creating since the 80s, is inspirational and admirable. We were talking about all of the places she travels to in order to get inspired for her work and it was incredible how many sources she draws from. 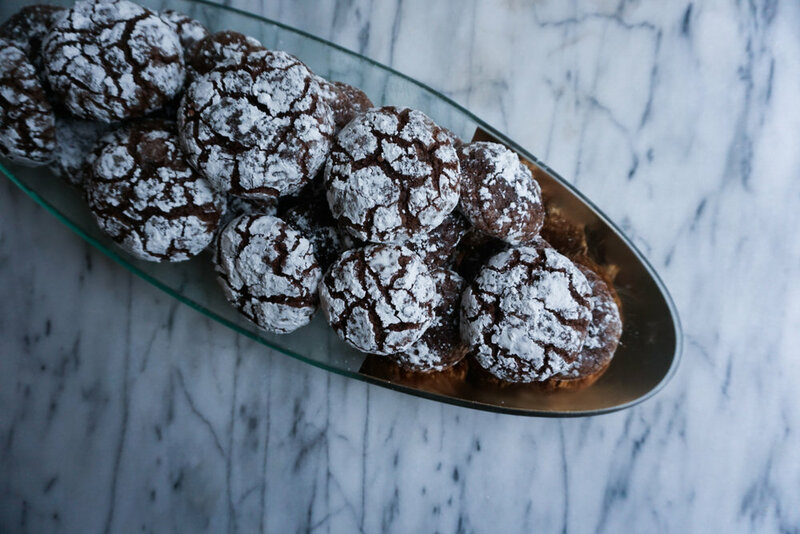 It was a lovely evening and since then, I keep reaching for this versatile platter to hold all sorts of things from tacos to lemons to these pretty cookies. Thank you to the lovely Annie for gifting me this plate!